All you need is a simple 0.99$ Sata to USB adapter. I am not going to waste time explaining what makes this work, all you need to know is that when you start you Drive connected to you motherboard, for security reasons you are unable to get into vendor mode. This tutorial is a very cheap workaround. The trick is basically starting the drive plugged to the adpter then plug it to the motherboard without powering it off. 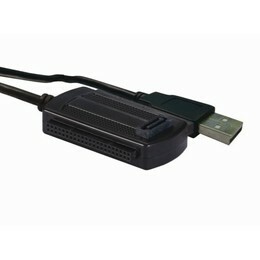 1- Plug the USB end of the converter to a USB port on your pc or back of the Xbox or TV. Doesn't matter as long as the adapter gets power from the USB. And that's it, magic is done. You may have to repeat the steps every time you turn off the drive. A.3 - Select "slimkey" Then Click "NO" to unlock pop-up question. A.4 - Without the trick it would fail here but this time works and you are prompt to select where you want to save the key and the other .bin files. Turn off drive when done. B.2 - Select MTK Flash 32 tab. B.3 Select Intro/Device ID to enter Vendor Mode. B.4.With the target fw loaded, select "Write".